A Year in a Car For No Apparent Reason » Settling Down, at Least for Now. « Featured it Business Insider! I started this one year adventure over 5 years ago and feel absolutely certain giving up my apartment and job and moving into my car was one of the best decisions I’ve ever made. I never expected to stay on the road this long and though I plan on continuing to travel, I’m off the road for now and have settled down in Seattle. 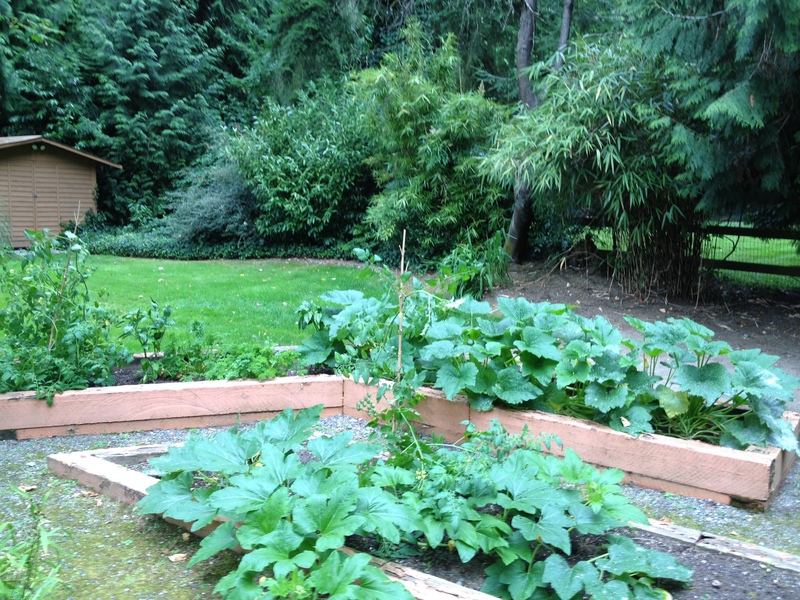 As proof, I offer you a picture of my garden as the acorn squash and tomatoes are starting to really spring up. In the last year I’ve also finished up my masters degree and am currently studying for the CPA exams. I’m still traveling when I can, but for the next few years at least I expect I will be on a somewhat more corporate schedule. Perhaps in a few years I will have figured out how to be a traveling accountant and I’ll pick up this blog again. In the meantime, I want to thank everyone who’s read and commented on my posts. I’ve enjoyed the last 6 years of blogging about living in a car and am looking forward to doing more. Until I start traveling full-time again I probably won’t be posting much on this site, but if you’d like to stay in touch, check out my website about tatting, snapdragonlace.com. Glad to see your update and what you’re doing. Keep us updated when uou can! Well, every traveler one day decide to settle down and make his own “garden” :-) I hope your is full of tasteful and colorful “fruits” :-) Good luck! What a awesome post and article you write up. Thank you so much for sharing this post. For example, one debt settlement company, National Debt Relief, sometimes can settle secured debt when the item securing the loan has been repossessed or no longer has value. Examples include a totaled car or a second mortgage on a foreclosed home.